Angela Hehir is the ECE Director at World Academy, working closely with all of the Early Childhood Education programs to stay New Hampshire licensed and NAEYC accredited. Angela came to World Academy in 2011 as a Lead Teacher in the Toddler Program before joining World Academy’s Administrative Team in June 2016. She currently serves on World Academy’s Curriculum, Professional Day and NEASC Committees and is a member of the National Association of the Education of Young Children. Angela enjoys working at World Academy because, here, early childhood education is greatly valued and held to higher standards by our teachers, families and administration. "The teachers I get to work with everyday are highly educated, extremely knowledgeable, and continue to push the boundaries in ECE in order to have the greatest impact on our 'World'." 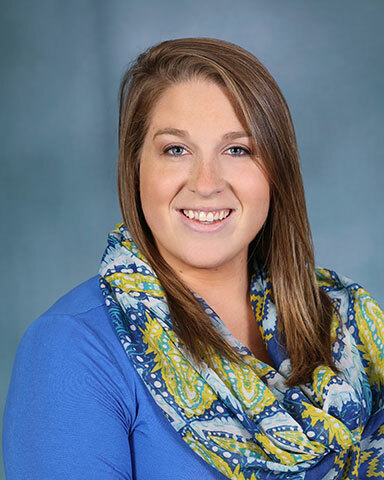 Angela graduated from the University of New Hampshire with a Bachelor’s Degree in Psychology, focus in Child Development with a minor in Elementary Education. Angela was born in Nashua and moved around the state from Milford, to Durham, to Manchester, before finally settling back in Nashua in 2012. She recently moved back to Milford with her husband, John and son, George (who is a student at World Academy). Angela discovered her passion for education when she started coaching cheerleading at the age of seventeen. She continued to coach cheerleading for the next 10 years, finishing as the Head Coach of Milford High School. "I believe that a child’s education, development and love of learning begins and ends with the passion and knowledge brought to them by the educators in their life; family, teachers, etc. As an educator, I value the importance of understanding each child’s specific needs in order to create an appropriate environment for them to grow and develop into lifelong learners. Within this environment, a child should be given experiences that allow the child to: 1. Gain respect for themselves, each other and their environment 2. Gain a sense of pride and individuality as learners, and 3. Find their own love of learning through both guided and unguided experiences. One of the most important lessons a child’s life is how to respect themselves, others and the environment around them. It is the educator’s responsibility to give the child the necessary words and actions to be a respectful individual. It is also important to teach respect through example. A child learns the majority of life skills by observing the actions of the educators in their life; therefore, it is extremely important, as an educator, to be aware of your the respect that you show in your daily actions. In order for a child to gain a sense of pride in their learning, an educator must set them up for success. This means creating a curriculum that is developmentally appropriate for each individual child. When a child participates in an activity and feels that sense of completion and success, they start to not only learn about the particular subject being taught, but they also start to understand the type of learner they are, building on their individuality. It is important for an educator to strategically put together a curriculum that triggers a child’s curiosity. Enabling a child to discover and wonder through both guided and unguided activities helps to create an independent learner. Allowing children to ask questions and then guiding them in finding the answers creates a critical thinker. Finally, being a role model as an educator by sharing your passion of knowledge and excitement for learning creates a lifelong love of learning within a child." Angela joined the World Academy Community in 2011.